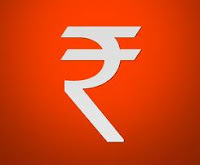 New Delhi:(Page3 News Network)-The Cabinet Committee on Economic Affairs today approved the disinvestment of 10 per cent paid up equity capital (39,64,71,600 shares, each of Full Value of Rs.1/-) of NMDC out of the Government’s shareholding of 90 percent through ‘Offer for the Sale of Shares through Stock Exchange’ (OFS) method, as per SEBI Rules and Regulations. As of March 31, 2012, the paid up equity capital of NMDC is Rs.396.47 crore. The Government of India holds 90 percent of the paid up capital in the Company. NMDC is a listed, Navratna CPSE. After the disinvestment, the Government of India shareholding in the Company would come down to 80 percent. (iii) Allotment of additional shares to eligible and willing employees at a discount of 5 percent to the issue/ discovered (lowest cut off) price up to a maximum of 0.50 percent of the paid up equity capital subsequent to completion of the transaction under OFS; the method and procedure of allotment of shares to the employees to be worked out in consultations with Merchant Bankers/ Advisors to the issue. The NMDC is a Central Public Sector Enterprise (CPSE) under the administrative control of the Ministry of Steel. It is primarily engaged in the business of iron ore mining, but is also expanding its activities towards production of steel and other value added products. It is India's largest producer of iron ore, operating two mining complexes in Chhattisgarh and one in Karnataka.